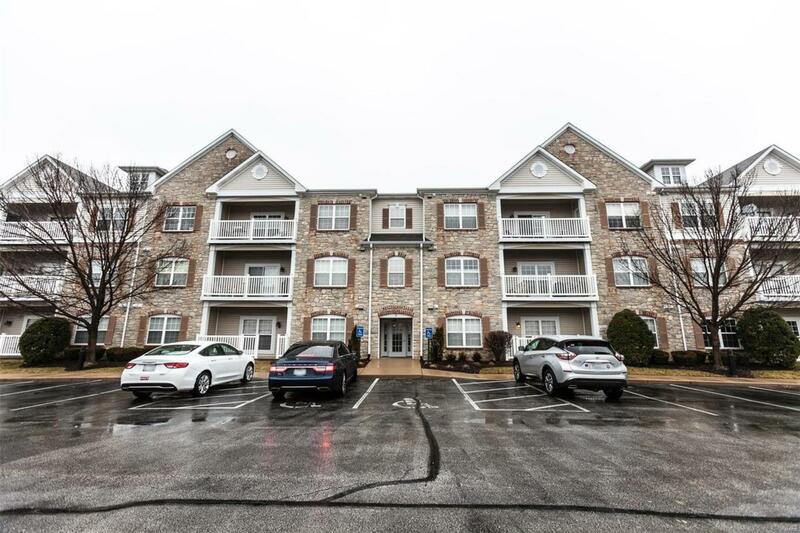 Don't miss this open & inviting 1st floor unit. The original display unit so you know there are some upgrades in here. 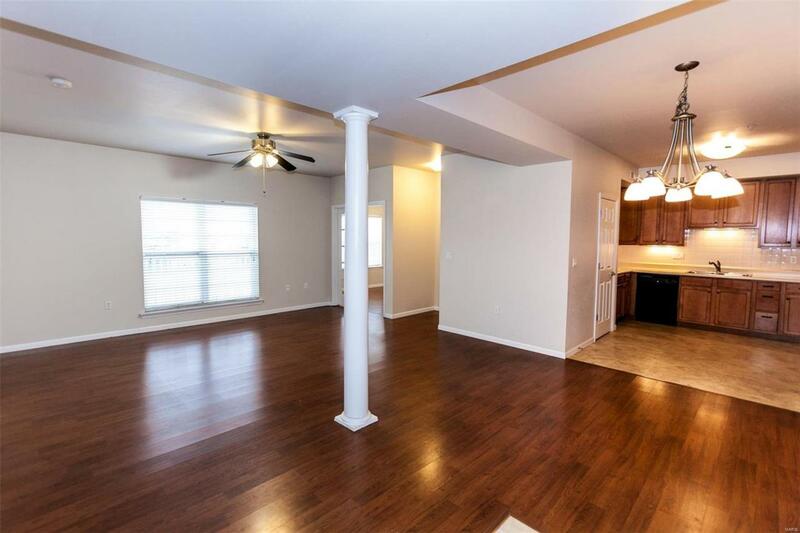 The wide open floor plan is terrific for entertaining and with 2 beds and 2 full bathrooms there is space for guests. Each unit has it's own laundry/mechanical room that allows for storage and convenience. The coffered ceilings in the oversized master suite give it a regal feeling and the tremendous walk in closet will store all of your clothes and shoes. 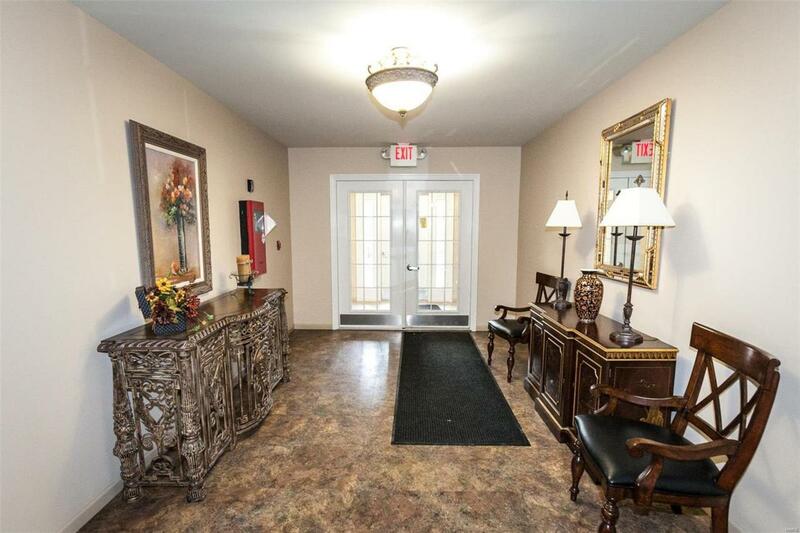 The covered patio offers a gate entry so that your guests can come in the building or directly into your unit. Additionally you will have a covered parking space to keep the snow and rain from dampening your spirits. The floors are a wood look laminate that hold up well and give a richness to the unit. There is an oversized storage locker on the second floor across from the elevator. 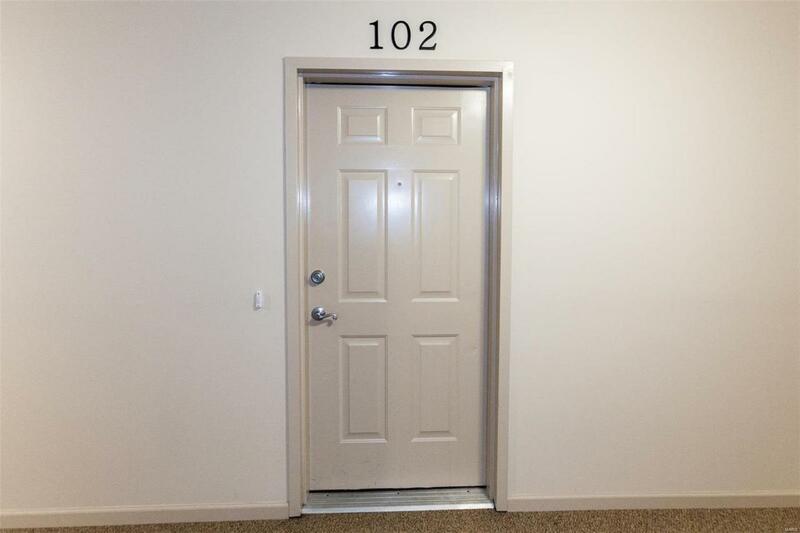 Located across from Chesterfield Central Park and Aquatic center this place is ideal! Come see it today before it's gone!!! !